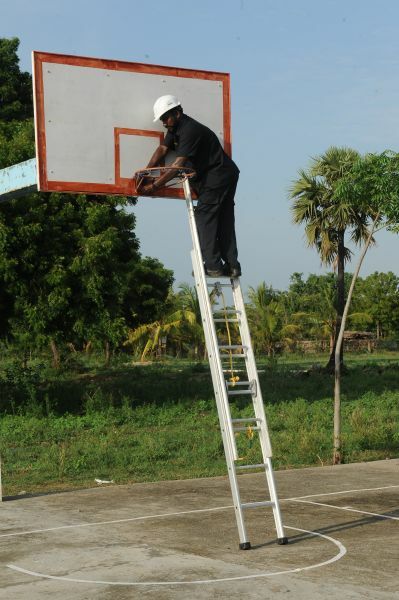 The Aluminium Collapsible Ladder that we offer is made from sides and steps for firm foot hold grip. Made of Sides Aluminum “C” Section Extra Heavy duty section -65.mm X 38.mm X 3.mm steps 25.4 Dia non slip corrugated tubing, complete with safety locks, rope, pulley, safety limit & rubber shoes. It locks at any required height.